“This is our 3rd visit to Monnington House, 17 of us ages 13-80 plus our labrador! “Wow is all I can say. Great party place. Plenty of space. Beautiful venue. Everything you need is in this amazing venue. “We had a most enjoyable weekend at beautiful Monnington House, including a lovely sunny day on Saturday, with lunch in the sun trap outside. 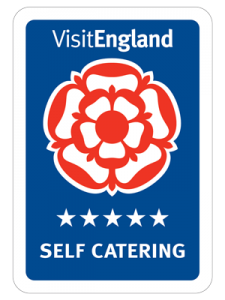 The beds received special mention from all, comparing favourably with some of our past experience. The kitchen/dining area works brilliantly. Thank you for setting everything up so well. “We all thought the house was both beautiful and comfortable and it fitted our needs very well. We had a wonderful week there: one of the best Christmases I can remember, so thank you very much for providing the ideal venue for it and my Dad was delighted that we could all celebrate his 80th birthday with him”. It is a wonderful house, so well equipped and incredibly comfortable. Beautifully equipped and comfortable. Owners have thought of everything that a large group might need. Bedrooms stunning with comfortable beds and gorgeous bed linen. Hot water and showers which work really well and attention to detail really makes the stay special. We had a fantastic stay at Monnington House! Anna was great to deal with and gave us lots of helpful tips and advice – from where to go for local walks through to day trips for the children. We had several children in the party all under 8 years and they were easily occupied with football, the games room and hide and seek! We would absolutely recommend a stay in this beautiful area and are hopeful we’ll organise a return trip! We loved our stay at Monnington House! Its a gorgeous house in lovely surroundings, beautifully furnished and very comfortable. We stayed in the middle of a cold snap and it was very warm! There are 3 wood stoves and lots of room for lounging and chilling out with plenty of space for people to get away from each other but also a big sitting room for everyone to be together. The kitchen is great, very big and well equipped and lots of room for everyone to sit down together. And all of the bedrooms are lovely, most of them en suite, so nobody misses out. Its also really nice as there are lots of books and ornaments around and you have everything you need plus a lovely welcome, you feel so much very much at home. Quite remote and so very quiet. Great local pub and farm shop up the road. Accommodation was very comfortable, all the bedrooms were ensuite and the sitting rooms were very cosy. The kitchen was a popular spot and very well equipped. We loved it and will return. Monnington House is a wonderful setting. We all felt instantly relaxed in this superb house. Great space, well equipped. All the bedrooms a good size with own charm. We have been going away yearly with the same group of friends for 25 years an have stayed in lots of lovely properties however Monnington House is Simply the Best. Found Monnington House on line and would say the photos and info on the site are a very fair representation of the property. We were met and shown the house by the owner. Its at the end of a mile long lane and although close to some farm buildings theres no noise activity. The house is beautifully and tastefully furnished and feels like its all been done pretty recently. Beds were comfortable with high end towels and linens. We used Cwm Clwd Caterers (details on website) for two dinners and would recommend them. Our crew enjoyed the table tennis and pool/table football rooms. Love the way the latter room was cunningly hidden behind original stable door. Cant thinks of anything we did not like. Rooms were all spacious, light, clean and recently decorated. All had bathrooms, albeit a couple at the top of the house with baths not showers. One room is on the ground floor with access direct to the driveway. That was helpful for us with one elderly guests unable to tackle stairs. We had a fantastic stay at your beautiful house. Such a special time for our family. The area is lovely. Canoeing was a great success, especially with the good weather that we had, and the meal at the Tram was excellent. We also enjoyed the Monnington Walk, and up to the ridge looking down at the river. Excellent trees for climbing! We would certainly like to return another time. We are all treasuring memories of a fantastic family holiday in the most perfect house. I know we would all happily come again – if we cannot find anywhere to compare we may well be back. I have already passed your details onto another family who look for accommodation like yours. We so enjoyed our stay at Monnington House, it really is a stunning house and suited our needs perfectly. We have hired many houses over the years and this was certainly up there with the best of them. The house is so well equipped and the quality of the beds and linen really does make a difference. Thank you for providing the base for some happy holiday memories. This house is beautiful, spacious and well equipped and allowed for both family time and privacy. All of our 18 guests thoroughly enjoyed themselves and we had lots of comments about the lovely bed linen, the beds and pillows. It was like staying in Claridges. Thank you again its probably the most memorable birthday I have ever had. Beautiful house and grounds for my party. It couldn’t have been more perfect! Our dinner outside on the terrace cooked by our private chef was idyllic! Thank you. Perfect weekend in a beautiful house. We all enjoyed great food, drink and conversation. House worked perfectly – family ages 83 – 6 months. Dining table perfect for a large group. Garden delightful and safe. Enjoyed walk to Church and Monnington Mile. We had such a wonderful stay at Monnington House. A very special and magical place. Our walk through the Monnington woods was spectacular. A special family time. The festival was a treat and hope to return. Many thanks for a wonderful time. Beautiful setting to celebrate a great birthday. House is spacious with very comfy beds. We had a ball. Lovely walks straight from the house in beautiful countryside. Couldn’t have had a lovelier time. A wonderful house for a family get-together. The house is beautifully decorated and furnished and the grounds immaculate. We have all thoroughly enjoyed our stay and hope to return one day. What a wonderfully restored farmhouse and thought out interior, we’ve loved it (and lots of books). All expectations exceeded! We’ve had a wonderful time – the house is perfect! A very happy occasion, thanks for asking us to join your lovely family celebrations. Our family from Knutsford, Sheffield, Hale and Bath, spent our 20th family holiday here with four generations. Beautiful house, perfect weather, croquet, badminton, bowles, table tennis tournament, canoeing from Glasbury, endless conversation… All added up to a wonderful holiday. We also appreciated the well equipped kitchen and cooked some sensational meals here. Thank you. On behalf of our residency musicians MS, JS, NK,EA, RN, BH and JM I’d like to say a big Thank you for providing the ultimate house for them – peaceful, well equipped, beautifully decorated and just perfect for us. We shall be back. Having spent four glorious days at Monnington House in Monnington-on-Wye, a traditional little hamlet hidden away in the cider orchards of Herefordshire, we all felt totally rested and rejuvenated. During our stay we walked around local gardens which are open to the public, admired the many black and white houses in the towns and villages nearby and made cultural visits to Hereford Cathedral (home of the Mappa Mundi) and Hay-on-Wye. We explored the wild countryside surrounding Hay Bluff in the Black Mountains as well as the rolling agricultural land with its hillsides scattered with sheep, and stumbled across remote and rural pubs, in addition to places serving fabulous cream teas! Monnington House with its extremely light and spacious rooms is big enough to get lost in and has sofas and beds to die for! It has been totally renovated and furnished to a luxuriously elegant standard and kitted out for every occasion and need. We all enjoyed each other’s cooking which was conjured up in the thoughtfully equipped kitchen, seated around the enormous oak dining table where the wine and conversations easily flowed freely until late at night. Books are provided for every taste and televisions in all bedrooms, but we were so exaulted at the end of each action packed day, we just fell asleep in the gloriously comfortable beds, bedecked with fine, top quality linens. Our thanks to Anna and Hugh for the use of their beautiful and exceptionally comfortable house, in a location where there is undoubtedly something for everyone to enjoy – we shall be returning!